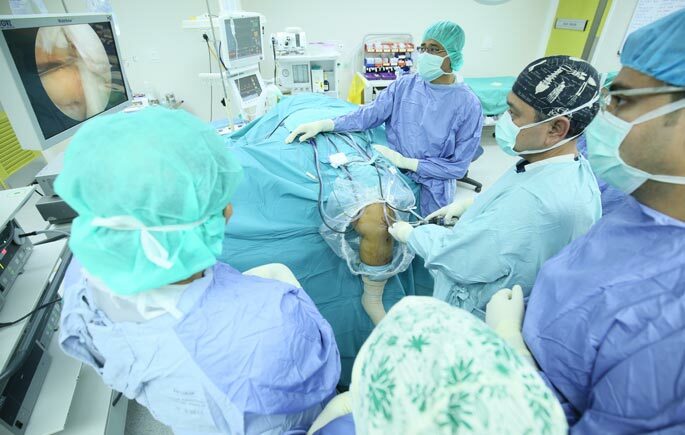 CHERAS, 6 December 2018 – The orthopaedic surgeon team of Hospital Canselor Tuanku Muhriz(HCTM), Universiti Kebangsaan Malaysia (UKM) lead by Senior Lecturer and Orthopedics & Arthroscopy, Dato’ Dr. Badrul Akmal Hisham Md Yusoff has successfully pioneered knee arthritis treatment using mesenchymal stem cell obtained from the umbilical cord. The research since 2016 show that cartilage joint is reestablished completely after a year although the surface is not as smooth as the original cartilage without any side effects. 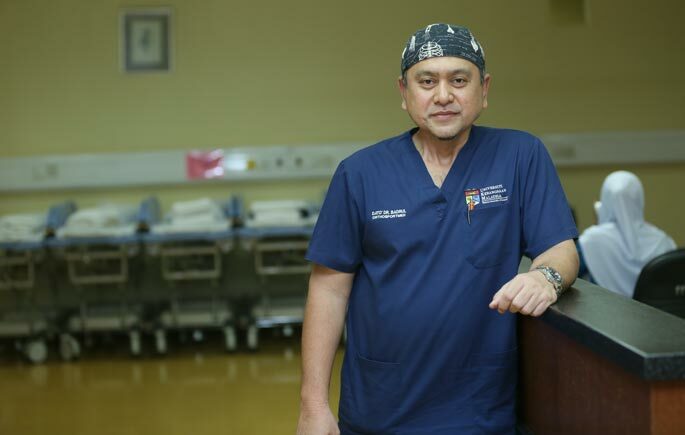 Dato’ Dr. Badrul Akmal Hisham said the treatment used donated umbilical cord. The donors need to through thorough screening in ensuring the safety and standards conformance. “The stem cells will be cultured and bred in laboratories certified by the National Pharmaceutical Regulatory Agency. The cells are then taken to HCTM to be inserted into the patient’s knee joint using an intra-articular injection method, ” he added. All patients in the study had shown significant positive improvements as early as the third month and did not show signs of side-effects or problems during the study period. 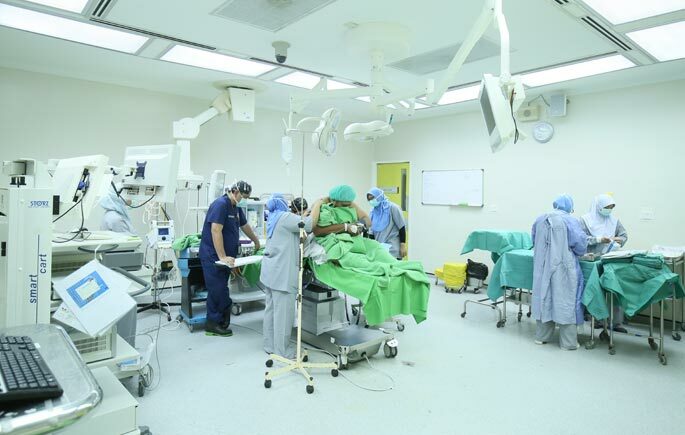 Private company Cytopeutics Sdn Bhd, industry research partner play their role in screening the patients, conducting laboratory tests, and imaging prior to the knee orthoscopic surgery. During the surgery, stem cells are inserted into the knee joint and the patient is required to undergo follow-up treatment for 12 months. Dato’ Dr. Badrul Akmal Hisham highlighted that the whole process is confirmed as a syariah-compliant by the Department of Islamic Development Malaysia (JAKIM). The surgery was the first clinical translation research using allogeneicstem cells in patients. The Orthopedic team in HCTM now has taken steps for more clinical studies with the focus on as the aspect of suitability, safety and no harmful effects. The research finding has been presented at International Cartilage Repair and Regeneration Society (ICRS) Conference, in Milan, Italy on 13 and 14December 2018 with the theme of “I am not ready for metal”. More than 400 participants from 46 countries are attending this conference. “The success of this research being the only clinical research from Malaysia, extremely exciting the ICRS. They are looking at the progress and sharing the latest study results in Malaysia and subsequently inviting UKM to join the international network of articular cartilage and stem cell researchers,”Dato’ Dr. Badrul Akmal Hishamadded.